Alloy 6061 of customized aluminum shape for radiator. At present, the compact designs, relatively fragile power semiconductors generally require a one-piece aluminum extruded heat sink to limit their temperature rise and prevent premature failure. Our standard tooled extrusion heat sinks satisfy a broad range of semiconductor cooling needs, and can be used for most industry-standard semiconductor cases, including power modules, CPU and isolated flat-base devices. 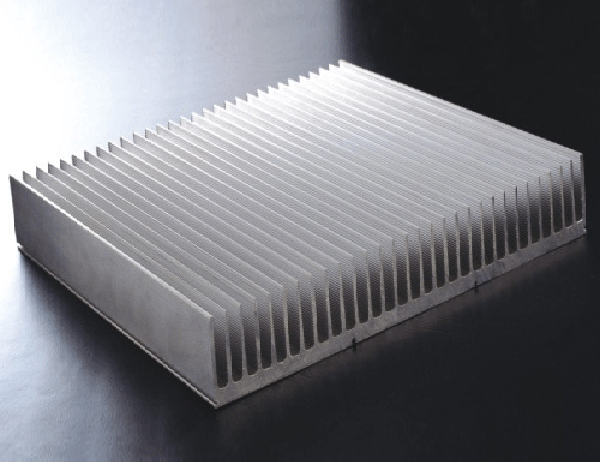 Extruded heat sinks are usually supplied with a surface treatment, such as anodizing, which can enhance its high-dissipation performance. 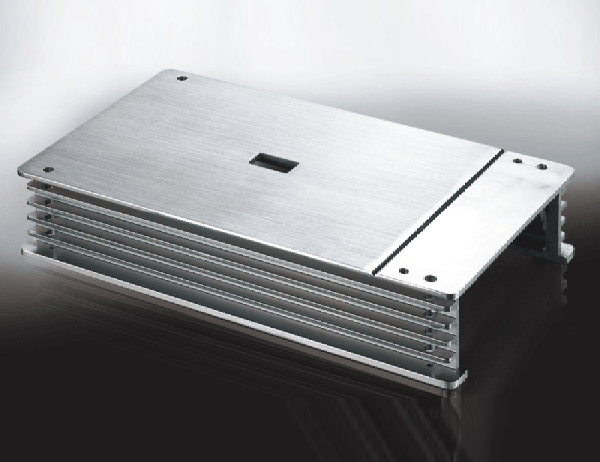 A wide-base aluminum extruded heat sink has many features: 1,High cooling performance due to the very large surface area of the fins and small spacing between the fins; 2, light weight/performance ratio; 3, Low die costs; 4, Numerous possibilities to adapt the system to each use; 5, Many variations can be achieved by combining different base and fin sections; 6, Partial assembly of base section is possible across the width and the length. Silver scratching anodized aluminum shell profile that is widely used in instrumentation, medical, industrial, electrical engineering and so on, their features: resistance to high and low temperatures, not easily deformed, burst, high-dissipation. Pingguo Jianfeng Aluminum provides alloy 6005,6061 6063,6082,6463 and temper T4,T5 or T6. We have melting oven and homogeneous oven to produce aluminum billets by ourselves, promise to use pure aluminum, providing chemical composition test report and mechanical properties report if requested, besides, we have our own mould workshop to produce every moulds, we are easily to control our moulds quality to reduce die lines on the surface of aluminum extrusions and we can shorter our delivery time. 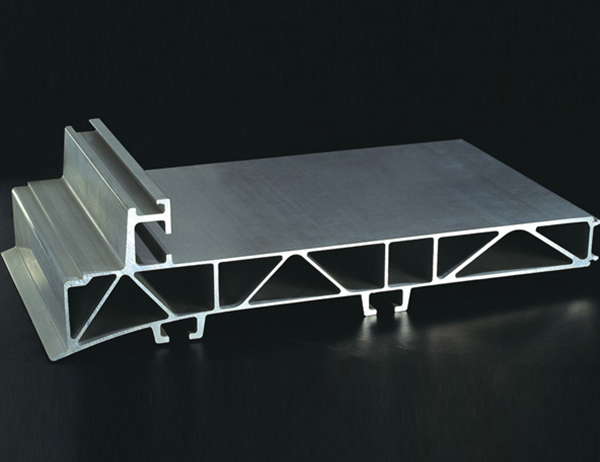 customized silver anodized aluminum section for industry. There are many advantages of aluminum alloy: light weight, easy fabrication, high strength, corrosion resistance, long life, renewable. Widely used in trucks, aircrafts, ships, trams, railway vehicles, electronics, machinery parts, precision machining and so on. Pingguo Jianfeng Aluminium Co.Ltd makes exportation since 2000, it has about 20 years experience. Have 24 extrusion press, the biggest one is 3600tons, including two anodizing lines, two powder coated lines, one is horizontal and another one is vertical, one PVDF line and some polishing machines, wooden paper heat transfer machines. Have rich-experienced engineers and workers to produce high precision aluminum extrusions. In every procedure of production, we have QC to inspect the quality in every procedure to make sure our products are qualified according to our the standards of Chinese GB5237 and ISO. Every month, there are over 2000 tons output for exportation to over 50 regions and countries in the world.